A Kaka brace helped Brazil overcome a plucky Egypt team 4-3 in the Confederations Cup. A Kaka brace helped Brazil get their Confederations Cup campaign off to a winning start after they defeated a plucky Egypt team 4-3 in a thrilling encounter. The game burst into life as early as the fifth minute when Kaka delicately flicked the ball over two defenders before slotting under the onrushing Essam Al-Hadari in the Egypt goal. The Egyptians were level four minutes later when a cross from the right evaded Lucio in the middle to allow Mohamed Zidan to steal a yard on Dani Alves at the back post and head home. 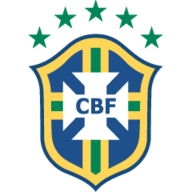 Brazil regained the initiative when Luis Fabiano met an Elano free-kick from the right at the near post and saw his effort sneak into the far corner of Al-Hadari's goal. The South Americans made their aerial superiority pay again eight minutes before the interval when Elano whipped in a corner from the right for Juan to power a header into the back of the net to make it 3-1. Egypt weren't perturbed and highlighted Brazil's weakness at the back when Mohamed Aboutriaka headed over when unmarked on the penalty spot. If Brazil thought they had escaped the worst of it, then they were badly mistaken. 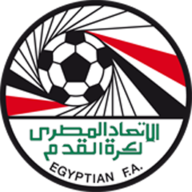 Egypt began the second half brightly and pulled goal back after 54 minutes when Mohamed Shawky finished off a fine passing move with a well driven strike. Brazil seemed shocked as they gave the ball away straight from the resulting kick-off and Egypt made them pay as Zidan cut through the ropey Brazilian defence all too easily and fired past Julio Cesar at his near post. But the Africans undid all their good work when Lucio had his goalbound effort cleared off the line by Ahmed El-Mohammadi's outstretched arm in stoppage time. The midfielder was duly sent off by referee Howard Webb - with the help of his assistant - and Kaka dispatched the penalty to get Brazil out of jail in the dying seconds.